Face Painting, Captain Sun Style | The Captain Sun Adventures! Jimmy! Way to represent #captainsun in South Carolina! 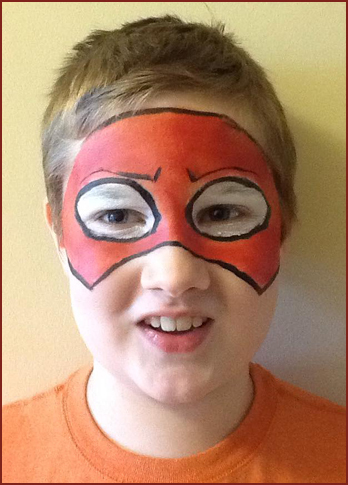 The face-painted CS mask is courtesy of his mom, Paula Richey of OtherRealm Studios. Keep the pics and art coming, CS fans! ← Need a Good Recommendation for Easter Baskets?